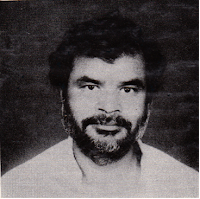 Shankar Guha Niyogi (14 February 1943 – 28 September 1991) was founder of Chhattisgarh Mukti Morcha, a labor union run in the town of Dalli Rajhara Mines in Chhattisgarh. Shankar Guha Niyogi succeeded in sustaining the Mine Worker movement for 14 years from 1977 till his death in 1991. Niyogi was first and foremost a great social thinker of the alternative development movement, but worked as a trade union leader in order to be able implement his ideas in practical ways. Niyogi was founder of Chhattisgarh Mukti Morcha, a political party for his vision towards labor of Rajhara Mines. Now this party is working for development of Rajhara Town as well. Niyogi was shot and killed while asleep on 28 September 1991. The trial of his murder suspects generated tremendous controversy, as a lower court awarded strict punishments to all suspects, but higher courts later convicting just one suspect, and letting off two industrialists.